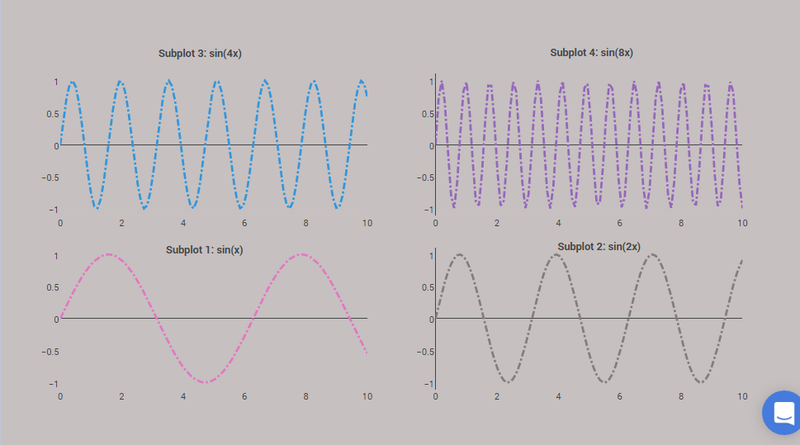 The Subplot feature allows you to display multiple plots in a single figure. They can be placed vertically, horizontally, or in a grid. 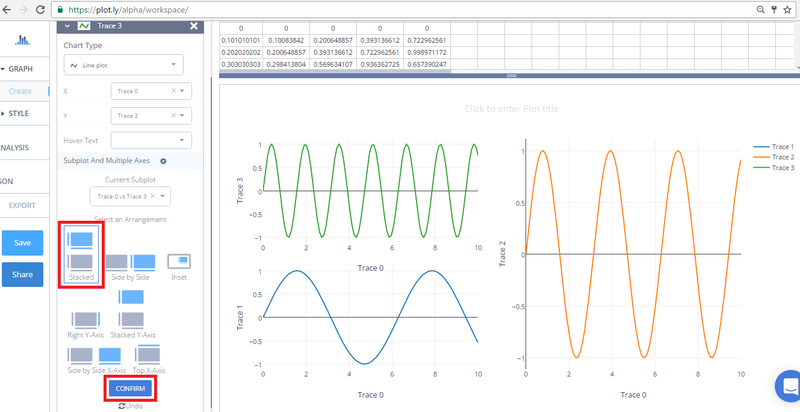 After adding your data go to GRAPH on the left-hand side, then 'Create'. 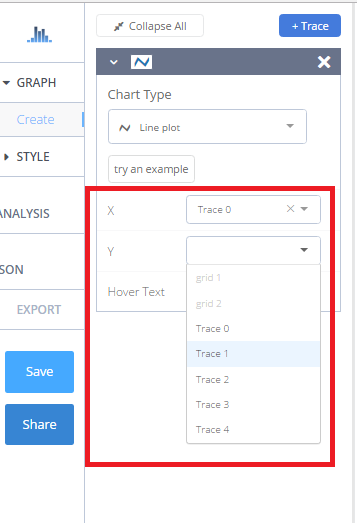 Choose your 'Chart type', and add your traces using the X and Y dropdown (this section is different depending on the chart type). Once you've added your first trace, click the blue '+Trace' button on the right-hand side of the panel to add another. 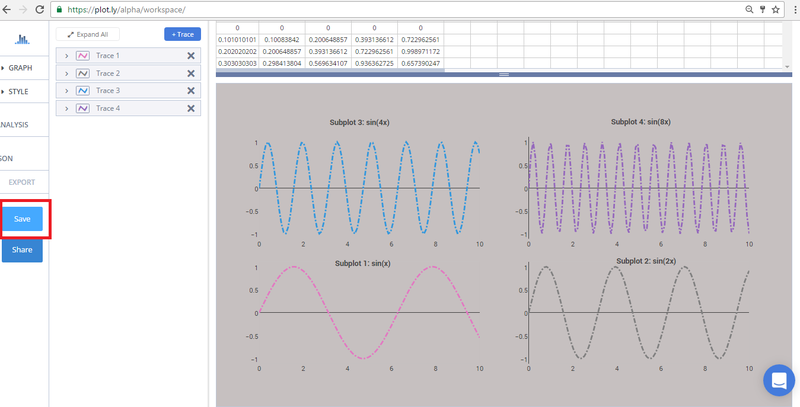 Once that new trace tab opens, click on 'Subplot and Multiple Axes'. This will open a section where you can select an arrangement for your subplot. 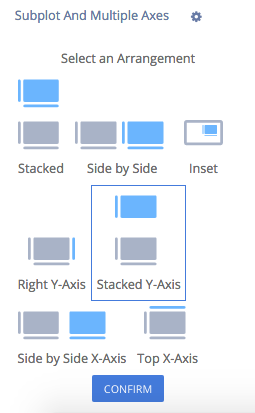 As mentioned earlier, you can set them up as stacked or side-by-side. We want to display four different charts, and we'll start by adding values to our second trace and select the 'Side By Side' arrangement for it, then click CONFIRM. We'll also label the axes right away by clicking and typing directly on them. Before we move on, it's important to mention the 'Undo' button. If you select an arrangement and you change your mind, 'Undo' will cancel the last arrangement selection only. Back to adding another trace! 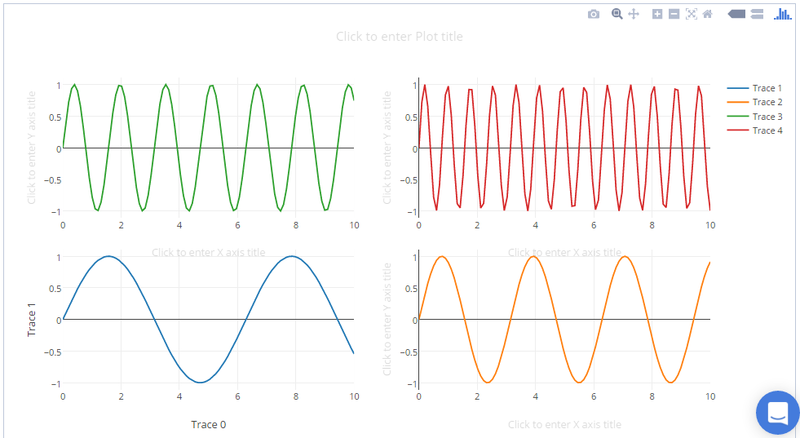 We'll repeat the same step as above by hitting the '+Trace' button, adding our traces, then clicking 'Subplot and Multiple Axes'. For our third trace, we'll select the 'Stacked' arrangement. For our last trace, we'll select the 'Stacked Y-Axis' arrangement. 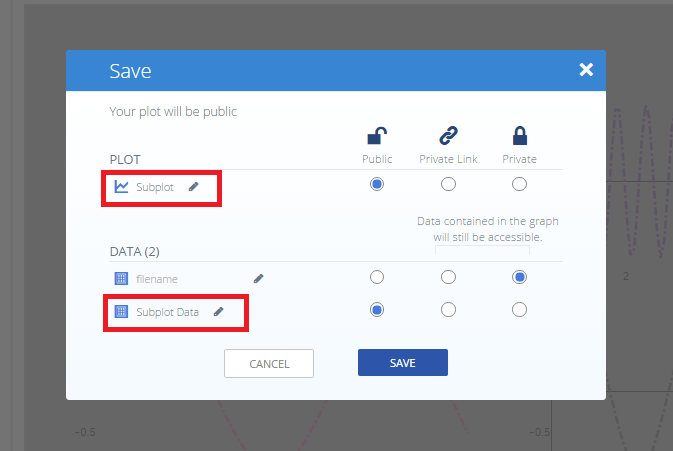 We can select the position by using the 'Current Subplot' dropdown menu. The plot you select from this dropdown will act as the base for the subplot we're adding. Finally, select CONFIRM. Now each of the four traces has its own plot. We've styled this plot quite a bit, which includes removing the axes labels (we don't need them anymore), and adding subtitles for each plot with the annotations feature.